Port & Starboard designed and relaunched Fences by Dente‘s website in early 2016. Based on our recommendations, our client moved from a very expensive hosting and pay-per-click advertising plan to our supported monthly hosting. We were successfully able to reduce their monthly website-related costs by nearly 85 percent, while increasing their web leads by almost 75 percent. Not surprisingly our client was initially hesitant to move away from their costly former advertising program, but they were excited to be able to reallocate some of their budget to producing a quality video for their site. 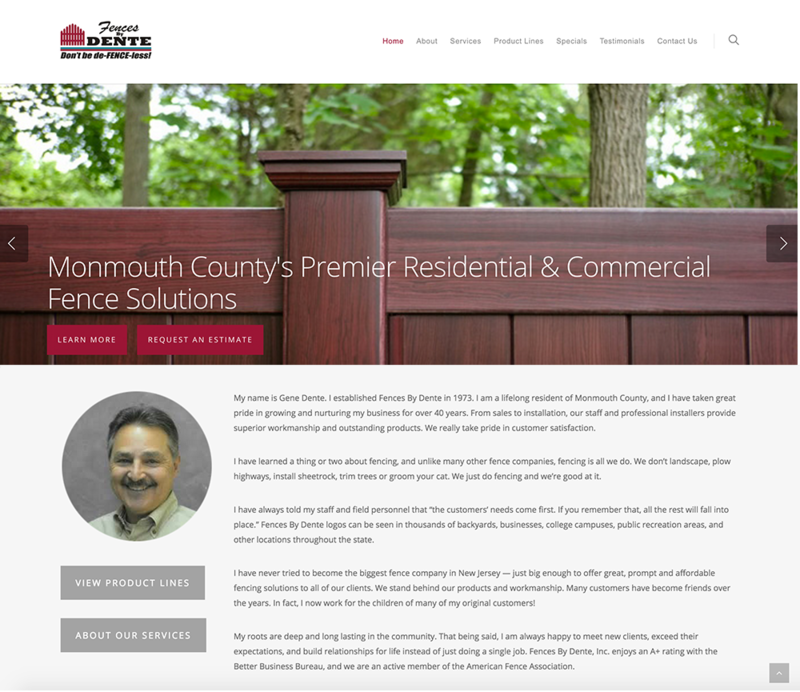 Within a few days of launching their new site, Fences by Dente began seeing increased traffic and engagement, resulting in triple the amount of completed contact forms! In addition, thanks to Port & Starboards monthly supported hosting plan, Fences by Dente’s simple change requests are implemented within an hour. Need help with your upcoming web project? Contact us today to set up a time to chat!